*SAI MAG WHEELS is the official distributor of HRS Taiwan wheels in India. *HRS brand owned by Hijoin Industrial Co., Ltd. of Taiwan is, today, the most prominent and sought after brand of alloy wheel in India. HRS branded alloy wheels have stood the test of time and passed the severe and exceptionally harsh condition of the Indian roads with flying colors. *HRS Taiwan alloy wheels stand for safety, quality and premium class designs. These are the values behind the creation of every HRS Taiwan wheels. *HRS Taiwan alloy wheels were introduced in India over 12 years back. HRS is the longest running brand of wheels in India. *HRS Taiwan alloy wheels are light weight, created to ensure maximum safety in the severest driving conditions. *HRS Taiwan alloy wheels meet the most stringent homologation requirements specific to each country and above all the international standard, viz., TÜV, JWL, VIA, thereby ensuring reliability, durability and safety. *HRS Taiwanalloy wheels are single piece cast low pressure. *HRS Taiwanalloy wheels are warranted for a period of one year from the date of original purchase against structural failure, plus defects in material or workmanship under normal driving conditions. *HRS Taiwanalloy wheels are designed for a higher weight bearing capacity than any other wheel available in India. *HRS Taiwanalloy wheels are provided with, where ever required, Taiwan made hub centric rings to preclude wobbling and for better stability. *HRS Taiwanalloy wheels in certain coloured designs are provided with high quality 3D centre caps and Taiwan made chrome air nozzles. *HRS Taiwanhas the largest range of designs - more than 600 different alloy wheel models. *HRS Taiwanoffers the maximum number of models for Indian made SUVs such as Safari, Scorpio, Thar, and XUV 500. *HRS Taiwandevelops a minimum of 20 to 30 new alloy wheel models every year. *HRS Taiwan wheels can be purchased online through http://www.alloywheelsindia.com. 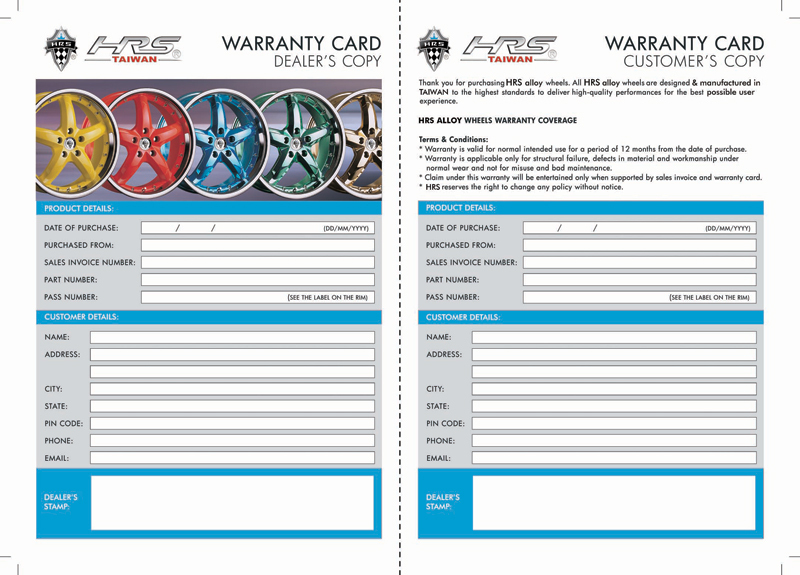 Easy EMI option is available on the website; customers can spread the cost of MOMO wheels from 3 to 24 months. HRS Taiwan wheels are also available through a carefully selected authorized dealer network. 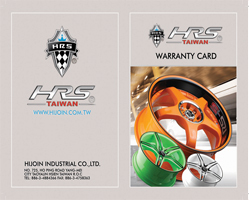 HRS Taiwan wheels come with a warranty card & car specific hub centric rings. 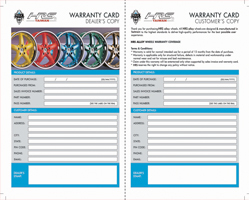 Warranty is valid for normal intended use for a period of 12 months from the date of purchase. 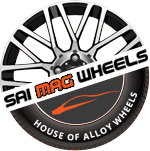 *SAI MAG WHEELS pledge our valued customers an uninterrupted supply of HRS Taiwan alloy wheels. More than 20,000 pieces of HRS Taiwan alloy wheels are in stock in our Delhi warehouse at any given point of time. *SAI MAG WHEELS customers have the luxury to select HRS Taiwan alloy wheels from a variety of models in different beautiful colours and finishes for all makes and models of cars plying on the Indian roads. Most importantly, with a price tag that is highly attractive and competitive.